Signed copies of the original print edition are available for $10.00 each (postage paid) via PayPal. As an added bonus, each book comes with a FREE copy of the new ebook edition, including the "Cast of Characters" and "Epilogue/Where Are They Now?" addendums! 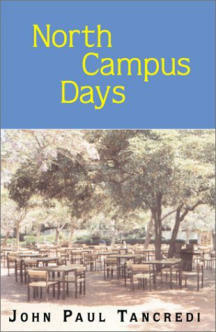 To order, please send $10.00 via PayPal to: JPT@northcampusdays.com.